WTF: What The Fatwa Is Going On? Who has the right to issue a fatwa, an Islamic ruling, is an important question that is confused by born-again scholars and unlearned authority figures. Today, there are thousands, if not millions, of Muslim scholars issuing legal edicts on wide-ranging subjects. What’s troubling is that hardliners as well as violent extremists are rendering fatwas, many of which declare war or death on an individual or group. So long as the maniacs and the madmen abuse the sacred concept of the fatwa, the Muslim world will continue to be steeped in darkness. There are thousands of fatwas. Some make sense. Others are senseless. There are rules in Islam. However, increasingly, violent extremists with no background in Islamic law or knowledge of the Quran and its historical context are issuing legal edicts. And the damage is deadly, leading ignorant and vulnerable Muslims to join extremist groups and kill in the name of a peaceful religion. Even some non-violent fatwas make no sense. There is a fatwa that makes yoga illegal; a fatwa that forbids building a snowman; a fatwa on wife-beating; a fatwa to kill Mickey Mouse; a fatwa against Anime; a fatwa banning Valentine’s Day; a fatwa making botox illegal; a fatwa banning select TV shows; and so on. This endless list of absurd fatwas is redefining Islamic scholarship and shaming highly trained scholars whose sound fatwas uphold Islamic law, or the Shariah, to a greater standard. As I told my students, a fatwa is a legal pronouncement issued by a highly regarded expert in Islamic law, also called a mufti. Fatwas can relate to a specific issue and/or a singular intention. This video by Shaykh Hamza Yusuf, a well-respected and world-recognized imam from California, defames the extremists’ logic for using violence. A fatwa is non-binding although the Muslim community is expected to follow the ruling. 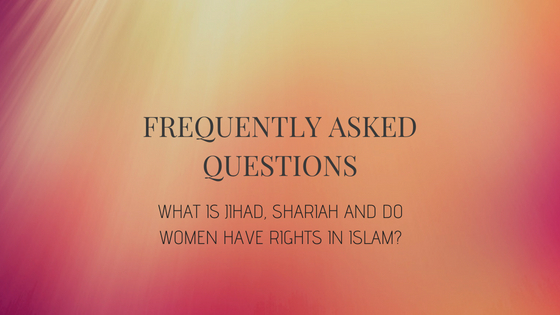 Who has the right to issue a fatwa? Certainly not Abu Bakr al-Baghdadi, the leader of ISIS. Only a trained scholar has the authority to issue fatwas for his/her community. He/She is a mufti. And it goes without saying that a mufti needs to be mature. Which means he/she is wise and respected among his/her peers and the larger Muslim community. Together, the body of fatwas comprise the Shariah, or Islamic law: it is dynamic, fluid, and progressive. Given a mufti’s qualifications, an extremist ideologue is automatically disqualified from issuing a fatwa. Moreover, extremist ideologues are rejected by the majority of Muslim scholars for ignoring textual evidence that is required to make a fatwa. So What The Fatwa Is Going On? Today, many scholars are untrained and unlearned in Islamic jurisprudence. Some are self-taught and rely on a cursory understanding of faith. Their fatwas are used to mislead and misinform Muslims on what is right (halal) and what is wrong (haram) based on a black-and-white worldview and artificial knowledge of Islamic law. Even non-violent fatwas are proof that many scholars do not have knowledge of jurisprudential theories; legal maxims; legal precedents; hermeneutics; rhetoric; procedural theory and other subjects normally taught in schools of law. According to UCLA professor Khaled Abu El Fadl, the author of The Great Theft, there is a vacuum in religious authority in modern Islam. Which is why doctors, engineers, teachers, and other professionals are issuing fatwas. Rather than honoring God and Islam, these so-called jurists create confusion and chaos. They are the source of fitna in Islam. 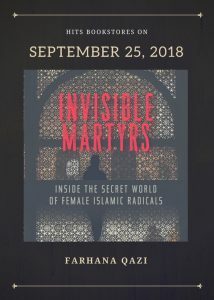 Over the past decade, so-called Muslim jurists leading extremist groups have spewed new and old fatwas to justify “holy war.” They capitalize on the idea that Islam is a symbol of resistance; Muslims are victims of injustice; and taking up arms is a valid statement of protest against despotic governments and states. With more conflicts taking place in the Muslim world, fatwas on fighting appear relevant and powerfully evocative. Consider this classic fatwa. In the 1990s, Abdallah Azzam, a mujahideen coordinator and al-Qaeda ideologue, issued a fatwa that declared jihad a duty for all Muslims. He called this jihad fard kifayah or a collective responsibility in his famous treatise In Defense of Muslim Lands. At the time, the fatwa was issued to encourage Muslims to drive the Soviets out of Afghanistan. The war against the Soviets is over. The Afghans are mired in another conflict. And more importantly, Azzam is dead. But his fatwa is alive. In contemporary conflicts, extremists lean on the same fatwa to justify killing perceived invaders and/or Muslim leaders in countries such as Libya, Iraq, Pakistan, Syria, and Yemen, to name a few. To combat the violent fatwas, moderate scholars have released rulings denouncing violence. Because it is unIslamic, unjust, and unconscientious. The next post will look at a few leading scholars and their fatwas against violent extremists.